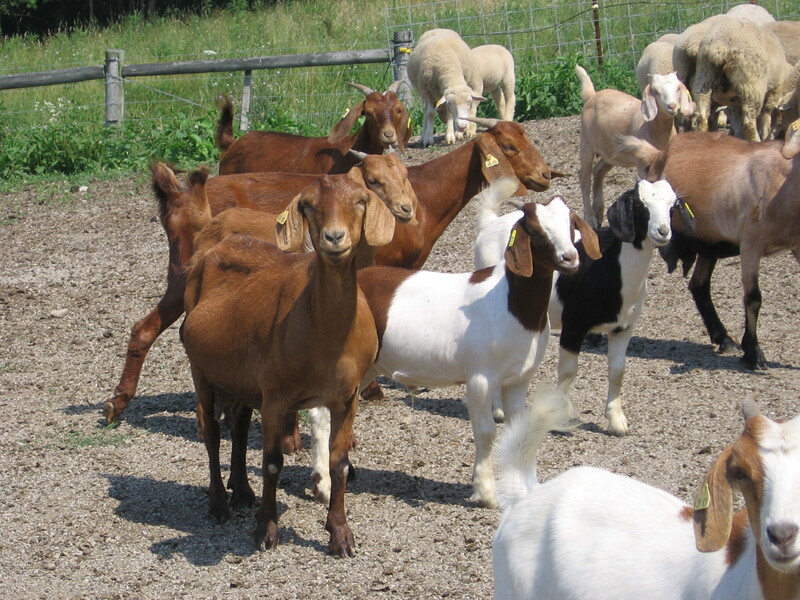 There are several ways goats can be a useful management tool in almost any farm operation. For beef producers, goats are incorporated into the operation with the goal of brush and weed management for new or existing pastures. For establishing new pastures, goats are great at cleaning up brush and unwanted vegetation prior to the initial investment of starting a new pasture (seeding, liming, fertilizing, etc.) and loading with livestock. For example, let’s look at the role of goats from converting a woodland area (timber) to pasture. Goats can be used to harvest and clear underbrush (including smaller trees) in selected areas before cutting and then sold to recoup money. They can consume vegetation in steep dangerous terrain where making an herbicide application or clearing with machinery is difficult. In a recent study of goats grazing in a power line right of way for five years in West Virginia, the brush was reduced from 45 percent down to 15 percent in one year. After five years of grazing, goats reduced brush cover to 2 percent. Goats are natural browsers and prefer to graze or browse with their heads up — just like deer if given the opportunity — which makes them ideal for clearing brushy understory. In this environment, vines constitute a significant portion of a goat’s diet, including poison ivy which they prefer, as well as saplings, young leafy trees, black locust, briars, brambles, sumac, honeysuckle, privet, Virginia trumpet creeper and broadleaf weeds. They will not eat through the hard bark of mature trees but may girdle younger, thinly barked trees if better forage is unavailable. Mature trees can remain undamaged as long as the goats have other forage to graze or browse. Goats can also be used in a post-clearing situation for sprout and weed control. They will eat and remove the little green sprigs which occur on the side of trees, between rocks, and regrowth from roots. Using goats to clear land before timbering is time-consuming, but allows one to harvest value from undergrowth and reduce debris before trees are removed. Goats can do this work relatively inexpensively and consistently. Goats do not require a lunch break, are able to work quietly without the negative attention of herbicides and machinery, and lastly, they provide great entertainment. Most commonly, goats are used in a beef operation to help control unwanted vegetation in existing pastures through a method called co-grazing or better known as multi-species grazing. Even though multi-species grazing is a very old idea, it is a method that is becoming recognized again. Multi-species grazing is the practice of using two or more livestock species (together or separately) on the same pasture-land in the same growing season to obtain the benefits of improved pasture quality, increased carrying capacity, more uniform grazing, more total pounds of gain per acre, vegetation control, decrease gastrointestinal parasite load, and more profit potential. Most studies indicate better pasture use and production when sheep, cattle and goats are grazing and browsing together, as opposed to grazing alone. The different dietary preferences and grazing behaviors result in greater plant use which means heavier stocking rates and increased production from a unit of land. Goats: grass 20 percent, weeds 20 percent, and browse 60 percent. Cattle: grass 70 percent, weeds 20 percent and browse 10 percent. In this respect, goats do not compete much with beef cattle. This is one reason the most noticeable benefit for multi-species grazing for producers is brush and weed management. Another major benefit which goes sometimes unnoticed is the decreased load of gastrointestinal parasites. Goat and sheep parasites cannot survive in the stomach of cattle and parasites from cattle cannot survive in the stomach of goats or sheep. Therefore, multi-species grazing will decrease gastrointestinal parasite loads and slow resistance of gastrointestinal parasites to conventional de-wormers. Finally, before implementing goats into your herd, consider the following factors: an upgrade in fencing may be needed as goats can escape easily, predator control needs to be accounted for, and the costs associated with implementing goats. 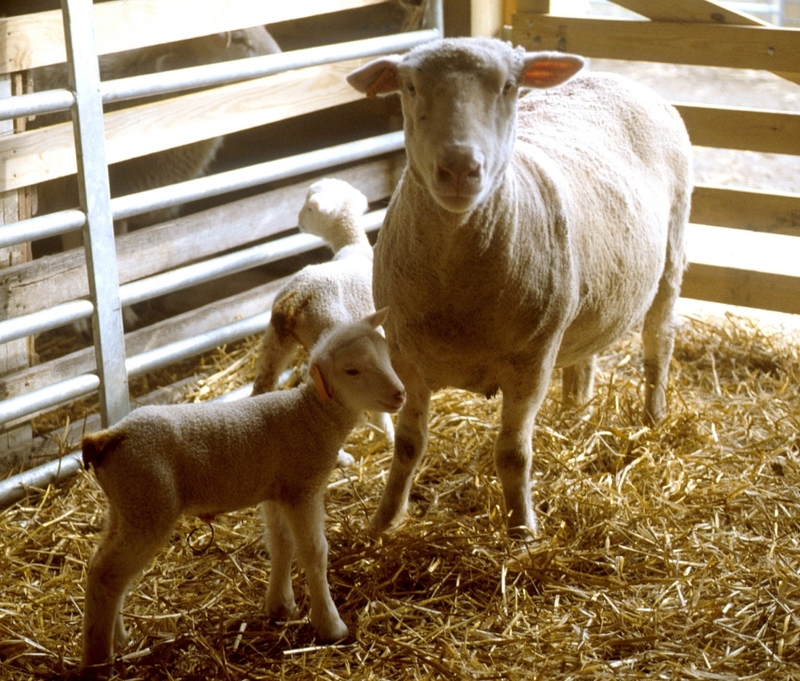 For more information on how to incorporate goats into your beef or sheep operation, contact your local extension service. Posted by Braden Campbell at 8:00am December 4, 2017 Posted in Management and tagged Forages and Pasture, Management. Bookmark the permalink.